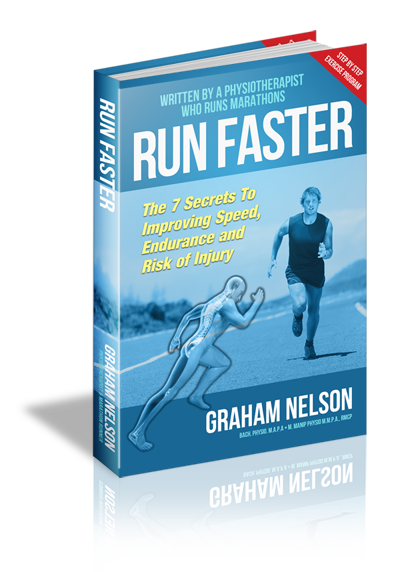 New Book Reveals: How To Run Faster! This simple and easy to use guide will show you how to smash your personal best time over any distance, get strong and run injury-free. Get your 1st Chapter FREE! Buy Now AUD$20 60 day No Fuss Money Back Guarantee. Runners tend to focus on miles rather than form, function, and strength, which is why this book, Run Faster, can be such a vital resource for both recreational and competitive runners alike....With clear and easy to understand methods for muscle strengthening, Run Faster can help you become more than just an effective runner. With more strength and a better understanding of your body, you can become an optimal runner. As a keen runner I'm always looking to improve and get the best out of my body. Incorporating strength training is a key component to improving and running faster. Since incorporating strength exercises with my running training as prescribed in the eBook "Run Faster -7 Secrets To Improving Speed, Endurance and Risk of Injury" I have significantly improved my run times. My most recent half marathon slashed 6 minutes off my previous personal best time to 1:33:38 and 14 minutes off my marathon time to achieve 3:24:02. I also set a 10k PB of 43:12. I am confident that if I continue to work hard with my training and strength exercises that I will continue to improve! The proof is in the pudding! Liz Reisman, 35, Essendon, VIC. Do you want to run faster, or for longer and reduce the risk of injury? Would you like to start setting those PBs again, despite your age? Imagine the joy and satisfaction you would feel being able to run really well, feel comfortable running and actually enjoy the experience! Well, you don’t, and all of the above is achievable no matter what age you are, or what your ability is! In fact, if you are running no more than 20kms/week, you can get better without running any more….. and research has proven this!! Firstly, let me introduce myself. My name is Graham Nelson and I am a qualified Physiotherapist with a Masters degree in Musculoskeletal Physiotherapy. I have been practising for over 20 years, and have treated many runners from the recreational to the sub-elite level. I am also a very keen runner, have completed 5 marathons to date, countless half marathons and 10km races, and run between 40-80km/week depending on my training cycle. As a Physiotherapist, I have a good knowledge of the human body and how it works, especially how it moves… ie biomechanics. I have also spent a lot of my spare time researching scientific literature on running performance, injuries and strength training, and you may be surprised at what I’ve found. This information is not new, but many coaches and athletes are either not aware of it, or do not place enough emphasis on it. With this information you could significantly improve your speed, endurance and running efficiency, and set new PBs no matter what your age. And you won’t need to increase your running volume! I have first hand experience of how this training information revolutionised my running. 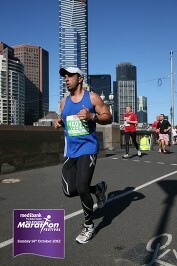 After a shocking run in my first Melbourne Marathon in 2009 where I hit the wall at 32km, and struggled to finish in 4hrs14min, I came back the following year and took 27min off my time to finish in 3hr47min! That’s a big difference by anyone’s standards. In the same year I set PBs in the Run Melbourne half marathon and also the Puffing Billy race(13.2km through the Dandenong Hills), running injury free for the whole of that year. More recently, I have run a 20s PB in a 5km time trial(21:06), as well as a 10km race at Princes Park in Melbourne(43:51) where conditions were poor(steady rain for most of race!). In June 2015, I broke my half marathon record by over 3 minutes to finish in 1:36:51. In my 3rd and 4th marathons( Melbourne in October 2014 and Adelaide in August 2015) I continued to improve on my times, although by marginal amounts. Based on previous performances I expected to run much better, but conditions on both of these days were a big factor, with Melbourne being an unseasonally warm day, and the Adelaide course being hilly, with undulations and many twists and turns. In the Melbourne Marathon in 2015, 2 months after Adelaide, I again took 2 minutes off my best time, finishing strong and feeling like I could have gone a little faster. Don't get me wrong... I'm not trying to gloat here... all I want to show is that it is possible to improve your running as you age, with the correct training mix. So what’s the big secret… this powerful information that can literally transform your running? Well, I’ve put all this information in an ebook that I have written titled “Run Faster: The 7 secrets to improving speed, endurance and risk of injury.” I have spent hundreds of hours researching and compiling this information(and because I have a young family, this has literally taken almost 3 years!! ), mainly because I wanted to share this knowledge with the running community. I want runners to really understand the biomechanics of running and what factors are most important in improving speed, endurance and efficiency, and preventing injury. .... I have found it very useful from both a personal and professional level. As both a keen runner and physiotherapist myself, while a lot of the information was not new, it has definitely increased and consolidated my knowledge of the principles of running performance and injury prevention in running. The extra knowledge gained form the book so far has been very beneficial - I actually just completed a PB for a 6km run last week! W. Bishop, 36 Moonee Ponds, VIC. The facts around interval training…why, how, how much, how often and how hard? The book is also packed with photos of over 100 exercises and tests you can perform to find strengths and weaknesses in your body, and will not only show you how to improve your running, but also how to become stronger and more stable, improve your posture, balance and agility and have you feeling more confident. So what will this information cost you? Well, you could spend 2 x 30min sessions/week with a PT, each costing you about $40 (which is probably a conservative estimate!). That's $80 per week, for let's say 8 weeks. That's a total of $640 .... and it would be safe to assume that not all exercises will be running specific. Now of you're self motivated, and do 2 sessions/week of exercises from the book, at home or in a gym, you can achieve a similar result in the same time.... for just $20AUD!! You could potentially save over $600, just by by purchasing this ebook! And because your mindset and understanding around strength training will shift, and your training will be very specific to improving your running and reducing injuries, you could get the same result in 6 weeks! Imagine the joy you will feel once you have integrated and applied this knowledge and you are setting new PBs, running for longer or completing your first marathon!! Not to mention the bragging rights you will earn amongst your running buddies!! Your running will become easier, more efficient and much more enjoyable. Your chance of injury will literally halve…. all for the small investment of $20AUD!!. That’s less than the cost of a running singlet, or a pair of shorts … and they certainly won’t make you run any faster!! This book is a great resource that you can use now, and store on the shelf( your hardrive!) to come back to at later stages of your running as you progress. It’s got stuff in here for the beginner, intermediate and advanced runner and new ways to” tweak” your training to get amazing results. Enter your name and email to download 1st Chapter Free. There are 7 secrets to really putting it all together and taking your running to the next level... and they're all contained in my ebook. The key principles behind static stretching and why this can dramatically reduce your risk of injury…when performed appropriately. How to test for weaknesses in specific muscles, so that you can develop your own individualized strength program to improve your running and overall strength, power and agility. So how do I know this stuff works? Randomised controlled trials that have been published in prolific scientific journals, such as Journal of Applied Physiology, Journal of Strength and Conditioning Research and Medical Science in Sports and Exercise. Independent scientific research that shows how specific strengthening exercises can improve your running economy (efficiency) and help you run faster for longer! All this invaluable information for just $20AUD, which is less than half the entry for a half marathon… and this is your resource to keep and refer back to for many years to come. Click on the link below to purchase your copy now. Fantastic. Extremely informative. I thought I was getting the most out of my training, by simply training hard. I now know how incorrect that thinking was.This has completely changed my thought process and the results have clearly spoken for themselves. If you want to run, then you really need to read this. A. Bartolo, 44 Westmeadows, VIC. R. Mahovich, 38, Bulleen, VIC. If you are not completely satisfied with this ebook, and if the information provided does not improve your strength as a runner, or make you feel more confident with your body, or help you run faster or further, I will give you a full refund on your purchase price within 3 months of your purchase. If you follow the information in this book and it does not improve your strength as a runner OR you are simply not satisfied in any way, I will give you your money back. No fuss, no questions! Graham Nelson is a qualified musculoskeletal Physiotherapist with over 20 years experience assisting runners from the recreational to sub-elite level. He is also a keen runner completing 5 marathons, more than 10 half marathons and many 10km races. Through clinical experience, research and his own running training, he has learned the critical elements to improving speed, endurance and reducing the risk of injury. He would like to share this information with any runner interested in improving and enjoying their running, despite their age or ability, and without necessarily increasing their running volume.